Dr Rebecca Courtney-Walker, Chair of the British Psychological Society's Prescribing Rights Task & Finish Group. In 2016, the British Psychological Society was approached by NHS England to consider if there was a need for the further extension of prescribing and medicines supply mechanisms to include psychologists. A Task and Finish Group was established in 2018 to develop a position statement for the Society for consideration by the Professional Practice Board (PPB). The group is made up of a variety Psychologists who work in a wide range of contexts including psychological liaison, secondary care mental health, gender clinics, secure settings and with vulnerable children. A number of members are also non-medical approved/ Responsible clinicians. The group is working to consider whether psychologists as prescribers can be an aid to reducing health inequality by ensuring that a person’s psychological formulation and understanding of their lived experience is clearly understood before co-producing person-centred interventions that may, or may not include medication. This may have the potential to empower clients to make more informed decisions about their care in the context of their formulation, and to choose whether they would want any suggested medication prescribed by their psychologist or by a different professional. 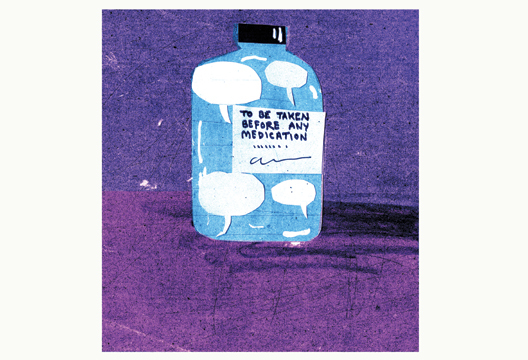 Formulation-Informed Prescribing may also potentially allow for re-prioritising of psychological formulations and treatments in a more meaningful way within a modern health service and other relevant settings. The only option being considered by the group is that of an optional role that would only be open to post-qualification Psychologists, like the optional role of the Non-Medical Approved/Responsible Clinician. Possible training options using a competency based framework approach and the governance of the role post-training are being considered as part of the work. An option is also being considered where Psychologists may train to increase their awareness, but choose not to prescribe. This is currently not an option as only those with formal authority to prescribe can complete this training. For example, in the context of Stopping Over Medication of People with Intellectual Disabilities and/or Autism (STOMP) and in reducing antipsychotic use with the elderly, this would equip Psychologists to be more involved in decisions about reducing medication in the context of their psychological work. Historically, this has been a controversial topic with strong views on both sides of the debate. The group is keen to hear the views of Psychologists across the Society on this topic and would welcome members to get in touch by e-mailing [email protected]. The group are also facilitating a session at the BPS Annual Conference (2 May, 4.30pm) to update members on the work so far, including feedback from service-user focus groups in order to elicit open dialogue with members to ensure that the views of members are incorporated into the position statement prior to submission.